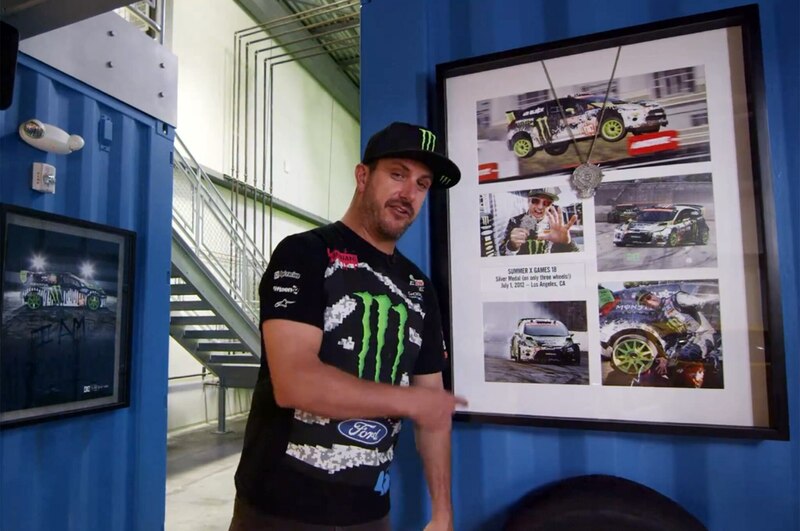 Shoe magnate, rally driver, and Internet video star Ken Block was kind enough to open up the headquarters of his Hoonigan Racing operation for camera crews. In a video tour, Block shows viewers around the Utah facility he calls home. Block begins his Hoonigan Racing tour by showing off a bright-yellow Ford Focus ST hatchback that was modified by tuning group fifteen52 as part of the Project ST modification program. The starting point is fitting, as Block rightly points out that Hoonigan Racing is normally closed to the public — unless, of course, Focus ST and Fiesta ST buyers attend the free ST Octane Academy driving school at nearby Miller Motorsports Park. After learning how to drive their hot hatchbacks faster, ST Octone Academy participants are granted a guided tour around Block’s facility. 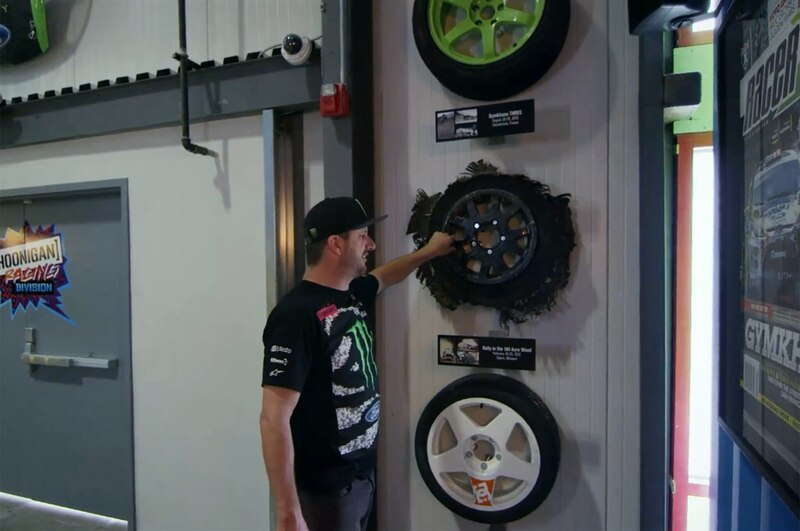 Other stops on the Hoonigan Racing tour include Block’s conference room, which features a wooden conference table supported by white five-spoke wheels used during production of the Gymkhana 4 viral video; an entire wall of refrigerators stocked with Monster Energy beverages; and the “Ain’t Care Wall” that features damaged parts from Block’s many rally and racing crashes. Finally, Block takes viewers into the Hoonigan Racing garage, which features several rally cars and the wild, track-equipped Ford F-150 SVT Raptortrax. Sadly, Block doesn’t get any of the cars out to play, but says he still uses the Raptortrax for “back-country snowboarding” trips. For a better look inside the home of Ken Block, check out his video tour of Hoonigan Racing below.